Al Arabiya News channel reported that the recruits were for the Islamic State of Iraq and Syria (ISIS). 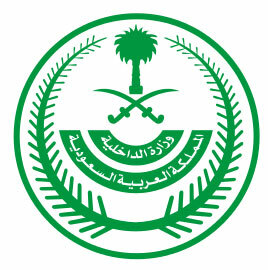 “Security authorities conducted on Monday an operation that led to the arrest of eight citizens who were involved in recruiting youth to join extremist groups abroad,” an Interior Ministry statement carried by the country’s Saudi Press Agency (SPA) said. Saudi Arabia has taken a tough stance against militant groups in the kingdom and has made arrests of cells with links to extremist elements in different Arab countries. In May, the Interior Ministry said it had dismantled a major “terrorist organization” with links to extremist elements in Syria and Yemen that was plotting attacks against government facilities and foreign interests. Sixty-two suspected members of the group were arrested in the bust. In March, the Interior Ministry published a list of “terror” groups, including Egypt’s Muslim Brotherhood, al-Nusra Front, which is Al-Qaeda’s official Syrian affiliate, and ISIS, another militant group that has gained swathes of territory in both Iraq and Syria. It also includes the little-known Saudi Hezbollah Shiite militant group, as well as Shiite Houthi rebels fighting in neighboring Yemen. The Ministry has said it will prosecute anyone who backs such groups “financially or morally,” or who seeks to promote them in the media and on social networks.